Long time Android smartphone users may find it difficult to use iPhone smartphones. Usually the iPhones are not having any back button on the screen. This makes it difficult for the new users of iPhones to get adapted themselves. In most of the iPhone application back button is present at the top the screen. This makes it difficult for the user to handle with single handed. 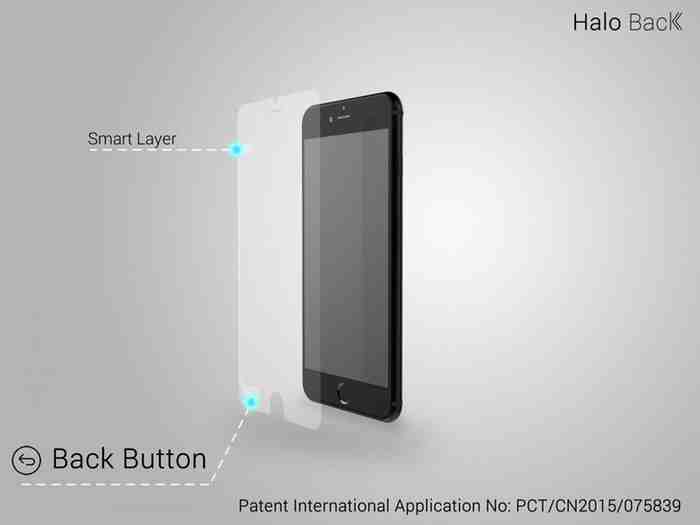 But Halo Back comes with a solution for this difficulty in the form of their newly launched Glass Screen Guard. It is a successfully funded Kickstarter project. Halo Back is screen guard made out of glass. This glass made screen guard is packed with a back button in it enabling the backing operation in iPhones. Let us have a look on its working. Halo Back is having a smart layer with a unique kind of circuit. This circuit is linked with the invisible back button on the top left corner of the display. When you touch on the back button on the bottom of the screen guard, an electrical charge is generated and passes through the circuit. This electric charge is passed to the top of the screen, making the back button to function. They easily direct you to the previous page giving the users to operate iPhone with single hand. Halo Back is first of its kind ever introduced in the market. The company boasts of its durability. They promise that the screen guard can even withstand from scrapings even from pointed objects like knife. 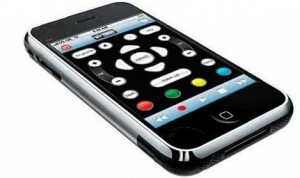 The company also claims that it provides a better display experience to its users since it is manufactured from glass. The company also promises that unlike other screen guards it may last for long and is worth paying for it. Halo Back project is being successfully invested by many on the crowdsourcing platform called Kickstarter. The aim was to collect $20,000. But with 17 days left for collecting the total funding, it has collected a sum of $96,946 from 3,395 supporters till date. It is expected to collect more funds in coming days. It is available for $12. But you can contribute towards the project and get it for a sum of $17. The product will be shipped to its customers by the end of August this year. The company has announced the release of Halo Back that supports the iPhone models of 6 and 6 Plus. With this Halo Back, the adaptability is being made easy for those usual Android smartphone users, who started to use iPhone. Also Halo Back is expected to make the use of iPhone comfortable by providing a back button at the bottom of the handset.